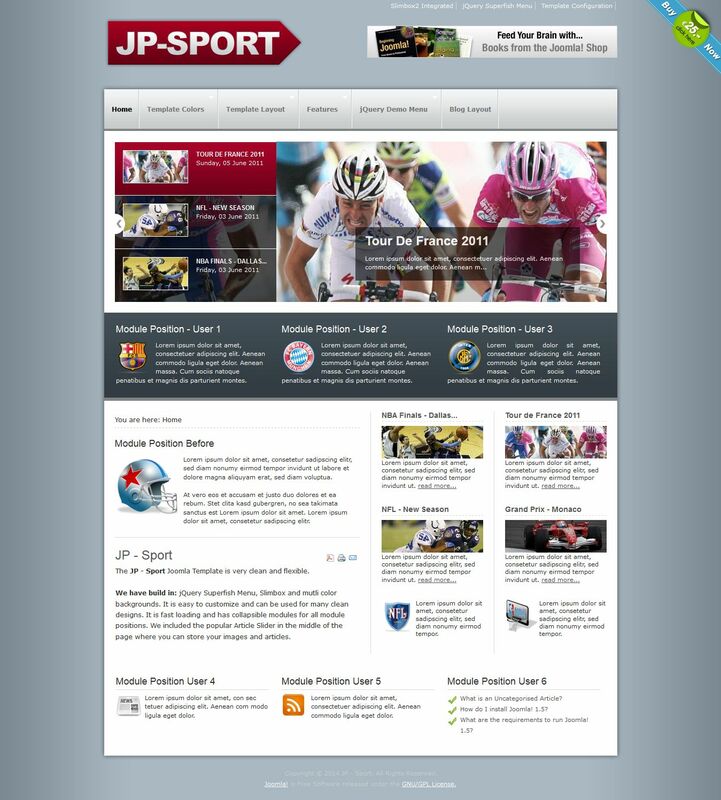 JP Sport - very light and flexible template. Convenient template settings allow its use in any industry. In template built: JQuery Superfish Menu, Slimbox and the background color of the multi. This template has a high speed of loading pages, has a folding modular design. Due to popular modules Article Slider, possibly flexible display materials on the site.